We reported a major change to the Colorado Classic on Tuesday. Organizers announced the race would be women only. One man who was hoping to bike in the race said he's a little disappointed, but had some nuanced thoughts about what it means for women racers. The event will become the only women's stand-alone stage race in the Western Hemisphere on the Union Cycliste Internationale, according to race organizers. 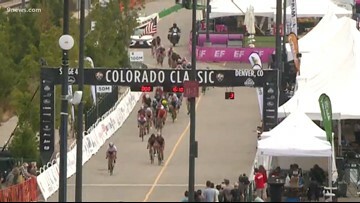 Organizers of the Colorado Classic made a big announcement: new this year - no men will be in the race. Only women. And the prize money for women has more than tripled. When the Colorado Classic bike race returns in 2019 it will be a woman's only event. 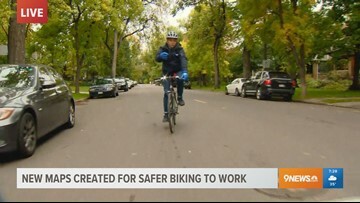 9NEWS reporter Steve Staeger reflects on biking to work this morning and the bill regarding so-called "safety stops" for cyclists. 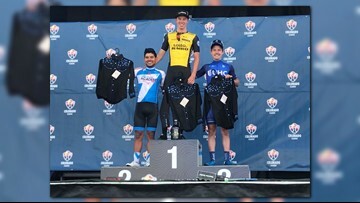 Day three of the four-day Colorado Classic bicycle race had the men traversing a 100-mile course that wrapped up in Denver's River North Art District. Women raced in a timed criterium. 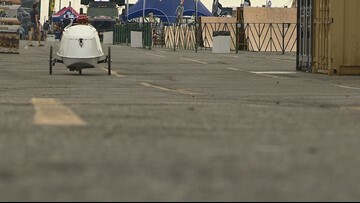 What's with the spaceship cycle cruising around the Colorado Classic's Velorama Festival? A spaceship cycle cruising around the Velorama Festival in Denver's River North District drew a lot of attention Saturday. 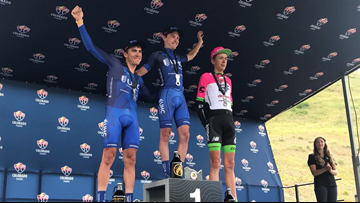 Last day in Vail, the riders move away from the circuit race format they experienced in Stage 1 and will instead sprint up Vail Pass on their bikes in a 10.1-mile time trial course for Stage 2. Among professional cyclists, the time trial race up Vail Pass is one of the most famous courses to run. 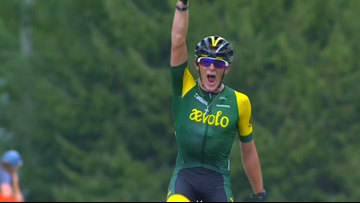 Day one of a four day cycling race called the Colorado Classic began today, Aug. 16 in Vail, Colorado. 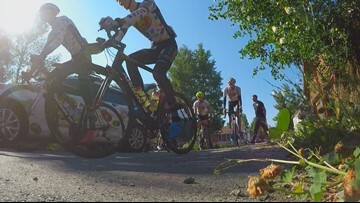 In a technically challenging race set up in a new format this year, the women's and men's races launched Stage 1 of a circuit race through the town of Vail with a steep climb. The Colorado Classic is rolling into the High Country on Thursday.